Summer is fading, but your tan doesn’t have to. With the summer season coming to an end, time in the sun will soon become a rare commodity. Fortunately for those looking to keep that summer tan, spray tanning is available year round! In fact, a spray tan in the fall and winter can prove to be even MORE useful than it is in the summer. The end of the summer season brings the many festivities of fall and winter. Pretty soon, Halloween, homecoming events, engagements, vacations, weddings, work parties, Thanksgiving, and yes, even New Year’s, will be here. With so much going on (almost too many things to keep track of), making sure you are at your best for each occasion can be a stressful challenge that some people know all too well. However, one thing that can make the challenge easier is a spray tan. With a spray tan in the fall, you can keep your summer glow and reap the many benefits that go along with it. More confidence, better health, and an overall better you come as a package when you get a spray tan for the upcoming seasons. Unlike summer where sunny days and good moods are the norm, the change of seasons tends to make those things harder to come by. Days start to become shorter and you find yourself covering up more than you’d probably like. It becomes increasingly harder to find those rays of sunshine. Let’s not get too gloomy, though. The seasons haven’t completely changed yet, and there’s plenty of good that comes with autumn and winter too! But there’s no denying that the colder weather makes it a little harder for you to be your most vibrant self in seasonal settings. A spray tan can be a real game-changer. With a spray tan during the colder seasons, you can be poised in your skin tone, feel free to wear some things from your summer wardrobe and be confident in the fact that you can stay at your best – no matter the temperature! Aside from a better mental state that comes with being confident in your body, a spray tan allows for better physical health as well. As sunlight seems to escape you more and more, you will subsequently be robbed of some of the natural benefits that come with it. However, you will also be avoiding the risks of sunlight. We now know that excessive exposure to sunlight (what some people might consider a necessary amount of exposure to get the right tan) can actually be harmful to your health. Blood level issues and various skin diseases are among the top risks of too much sun. However, for those people that simply need that higher amount of exposure to get the results that they desire, spray tanning is an alternative that eliminates those harmful risks of too much outdoor tanning. Additionally, spray tanning allows for dry skin to be present (allowing for natural exfoliation and decreased acne/blemishes), better skin hydration, and helps the skin’s aging process. Yes. Health is a big part of who you are. Actually, it’s a BIG part of who you are. Still, your health is only one part of the whole that is you, and there is more to you than just your health. The experiences that you are part of, the relationships that you share, and how you spend your time all fall under the you category, and enhancing all of them is how to attain a truly better you. Better moods, better experiences, and more enjoyment are easier to come by with a spray tan in the fall. In the same way that a new outfit can offset the bad mood, a new tan can do the same thing when the weather becomes worse. Your desired tan will also allow you to make the most of your relationships. From the most intimate of settings to larger group settings and everything in between, the combination of your confidence, your health, and YOU will allow for the best experiences. And when things get a little less sunny, the right tan makes all of that easier to come by. So, while time in the summer sun is coming to an end, your tan doesn’t have to go away with it. 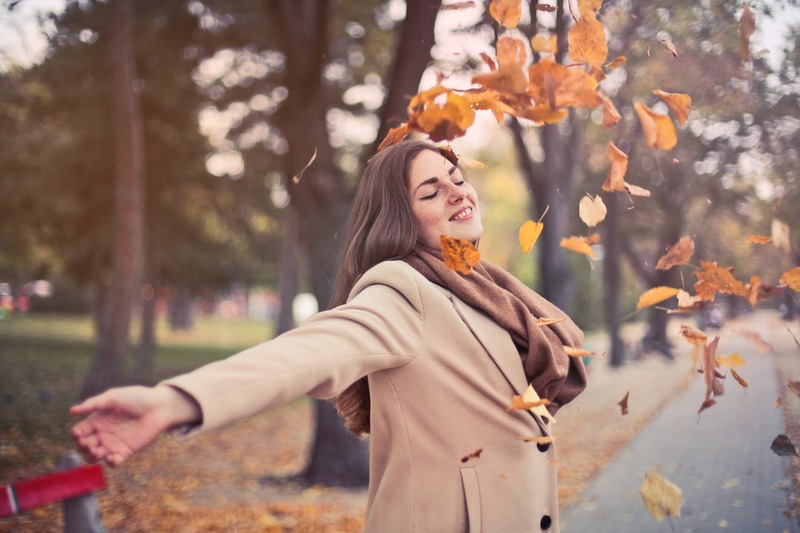 A spray tan in the fall and winter allows you to approach all seasonal happenings with a little less stress and a little more grace. Keep your summer glow. Keep your confidence. And keep being your best self!